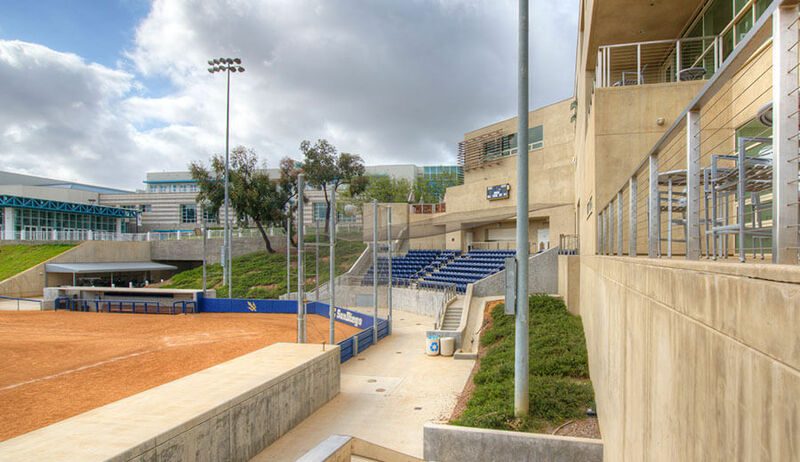 This project consisted of new construction of a multipurpose facility adjacent to the RIMAC building on the campus of The University of California, San Diego. The aluminum cladded building is approximately 14,000 sq. ft., and three stories, terraced into the side of an existing 2 to 1 slope. 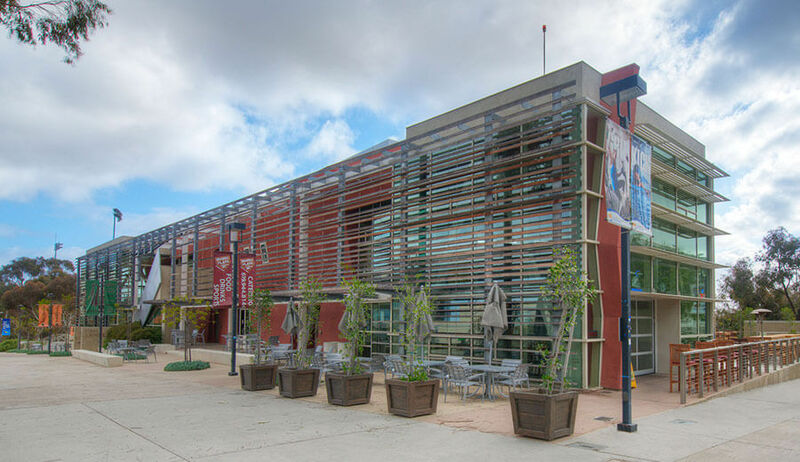 The building includes meeting rooms, a Peet’s Coffee Shop, a convenience store for students, and a restaurant shell for future restaurant tenants. 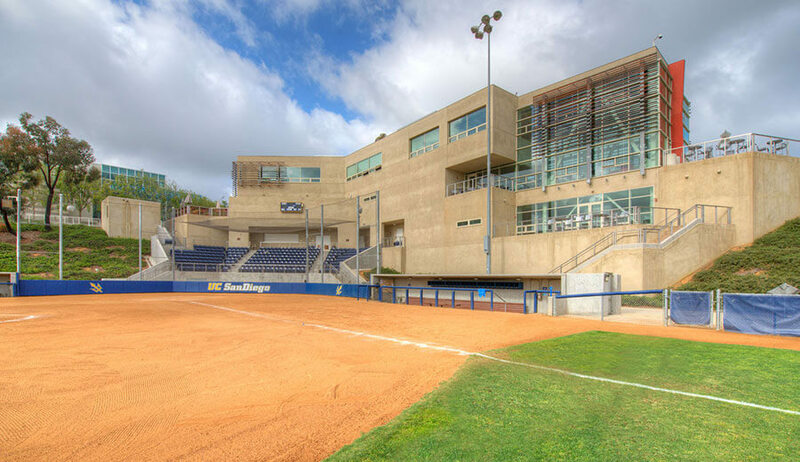 The project includes a new softball field for Intercollegiate Softball games, new backstop, new dugouts, bleachers, a new scoreboard, and a Press Box. 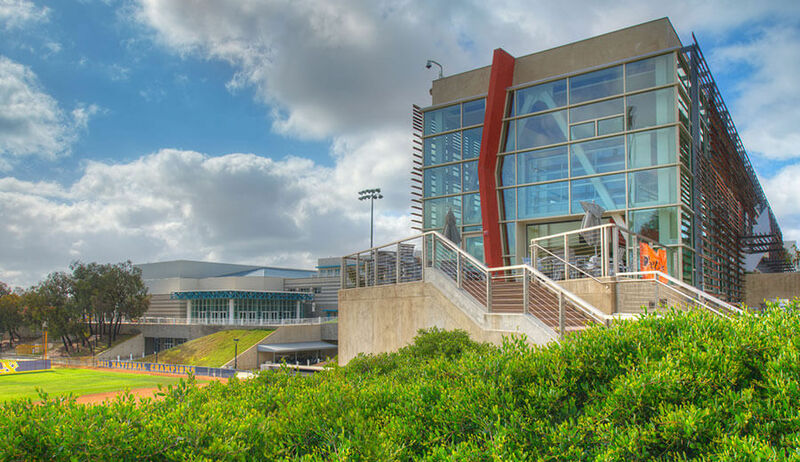 The project was a Self-Certified LEED Compliant Building. 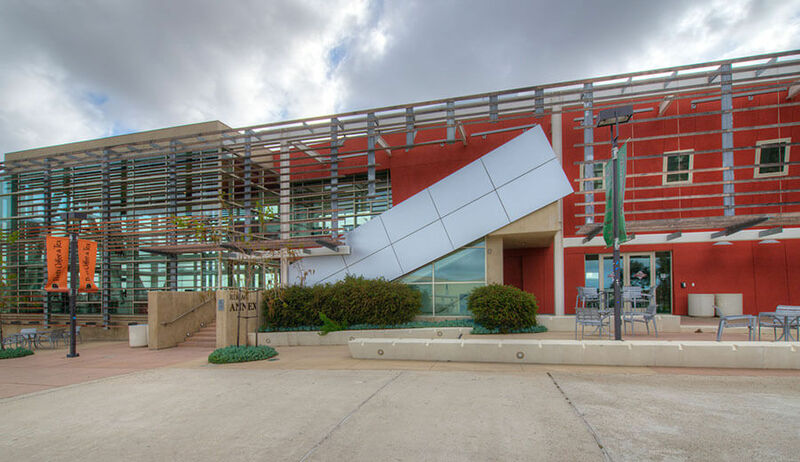 The three parties responsible for the qualification were the Architect, UCSD, and Soltek. Soltek’s role was to keep records of the recycling of \ demo material, fly ash in the concrete, and other sustainable construction practices handled by Soltek and subcontractors.